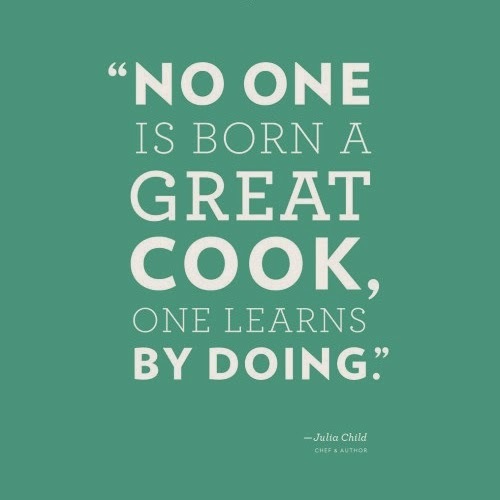 I love this quote from Julia Child, what a fantastic reminder that we never stop learning when it comes to cooking (and life in general too). You have to keep trying, it doesn't matter if your souffle falls, you slice your hand open on a mandoline (yes, I've done this TWICE) or burn the garlic. Keep trying and learn from every little mistake you make in the kitchen. It's always worth it.